Hannah, Richard and Lizzie Woods and their cousin Toby are kids enjoying the quintessential 1960’s Australian summer holiday in Bradleys Head on the north shore of Sydney Harbour.Their long, school-free days are spent exploring the town’s parks and isolated buildings and playing complicated games with the children of other holidaying families. One day a baby goes missing from a park in the town and the children are interviewed by police as they were seen in the park. Their shared secret about that day has dramatic and far-reaching consequences. This book is a little bit sneaky in that it starts out being a fairly simple (though compelling) story about a missing baby and the children who might have known something about it but it morphs into something more complex as it explores the ramifications of those half-forgotten events on all involved when they are adults. 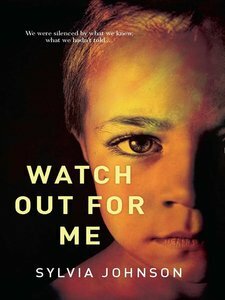 In a series of very short chapters we see events in both 1967 and 2005 unfold from the various perspectives of Toby, Hannah, Lizzie and other less frequent contributors and are slowly able to piece together what happened when the children were young and what effect this has had on them all. As adults in particular their self-examination of their perceived character flaws including cowardices and fears really does make for very engaging characters. While in both time periods readers are generally focused on the individuals involved in the story, Johnson has done a great job of depicting the wider social conditions of both periods. In the 1960’s things are fairly relaxed and idyllic, though there are some tensions creeping into the community which are brought to the foreground when the baby disappears. Although mine were a few years later than the summer holiday enjoyed in this book I could recognise almost everything about the place, people and sensibilities being depicted here from my own childhood summers. In 2005 the events are taking place in the post-September 11 world in which the fear of terrorist acts or the desire to prevent them has led to monumental changes in society. Johnson has chosen the specific time of the visit to Australia by the then American President which was, to put it bluntly, a pain in the neck as an entire city was locked down and hundreds of foreigners (Americans) were allowed unprecedented privileges to brandish weapons and engage in many other activities which once would have been unthinkable. Again I could easily recognise the setting as accurate in both generalities and small details. Several of the characters are completely mesmerizing, particularly Hannah and Toby who have both coped (or failed to cope) with the fallout from that summer very differently. I particularly enjoyed the sense that Johnson provides that when we meet them as children we are seeing glimmers of the adults they will become. As a child Toby is quiet, nervous and desperate to be accepted by his older cousins and we wonder if he will break away from this pattern as an adult or still allow himself to be ensnared by his cousins. Hannah on the other hand is a confident child who turns into an irascible adult barely able to believe the changes she sees in her world but brought undone when she recognises her own human failings. 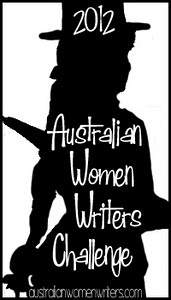 I’m counting this as my third contribution towards the Australian Women Writers reading challenge for this year.